Carfax ONE OWNER! LOW MILE 2016 Crew Max Tundra 5.7L iForce V8! Leveled with 20 Fuel rims on Toyo Open Country AT's. Great load SR5 including NAV back-up camera back-up sensors sliding rear window power seats large touch screen folding 2nd row bed liner folding bed cover tow package with integrated trailer brake and much more! See pics for more info! 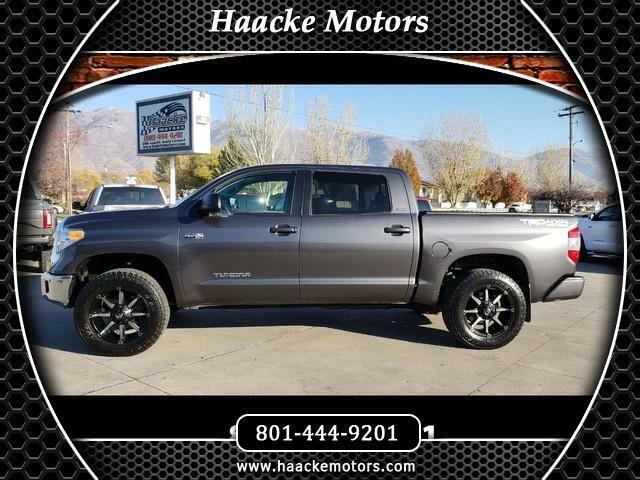 See us on our website at www.haackemotors.com KSL.com Autotrader.com Cars.com Carsforsale.com CarFax Online Cargurus.com Facebook and Instagram.